Get a season pass for our summer term of poetry translation workshops. 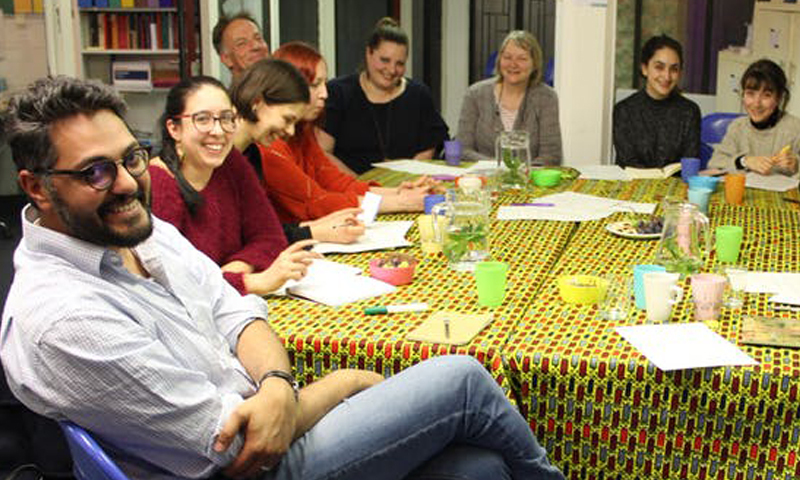 Our friendly, inclusive workshops are a great way to meet like-minded people, dig deeper into language and discover new poets. Each week we translate a new poem by a living poet from Asia, Africa or Latin America. From our office in The Albany, Deptford, we travel the world uncovering vital poetic voices and getting real insights into new cultures. Click here to get your season pass for all 6 workshops.